Custom CSA Farm Shares - we grow 100% of your farm share veggies! Pick-Your-Own - strawberries, cherry tomatoes, flowers, herbs and more. Support Local - baked goods, cheese, fruit, eggs and more. 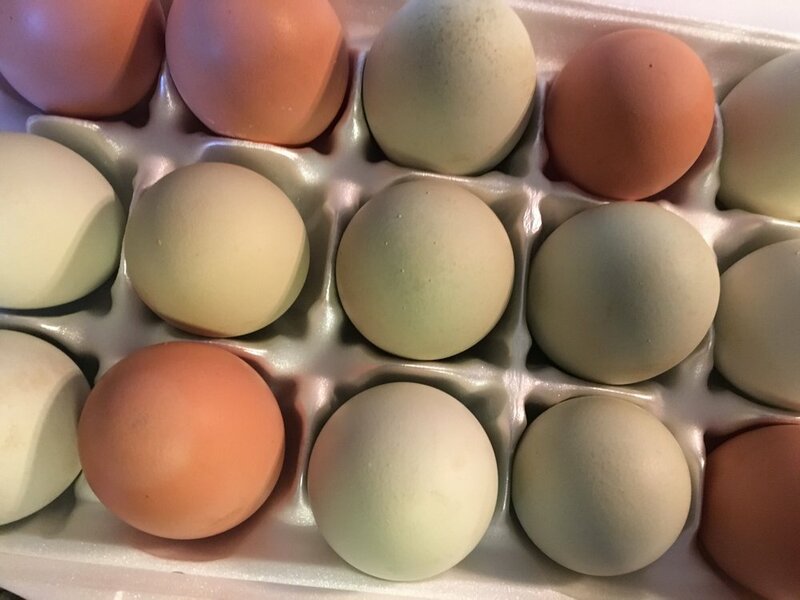 Sign up for a farm share - 3 size options; Set your preferences (tell us what you like and don’t like) and select a pickup day - can be changed anytime during the season. Customize your share before you pick up - based on the weekly harvest and your preferences, we email you a custom farm share. Swap veggies and purchase extras - we encourage you to do so online prior to pick up so farm staff has a better idea of what to harvest (min. 24 hours notice prior to pickup). Pickup on-farm. Bring a bag, your farm share email, and gather your farm share in the Farm Shop (and the fields). Extras for sale - bread/eggs/more. We do not pack boxes or deliver. Vacation holds - no payment will be charged to your card (if you paid in full, a credit will be issued to your account). Limited to three holds per season. Menu planners - in your weekly email - recipes and tips based on your custom farm share. Payment plans - 25% due at signup, 25% due first week of pickup, and remaining balance charged on a weekly basis throughout season. Or Pay In Full. Paying by check or cash offline? Please email us and we will get you set up! 250 S. Mannheim Ave, Egg Harbor City, NJ 08215. Galloway Twp. SEASON - 20 weeks; begins around May 30th through Oct.
CSA HOURS - choose 1 day/week for pickup; can be changed during season.